These beauties help me thrive! There are quite a few retail holidays over the past month: Black Friday, Cyber Monday, Green Monday, and National Returns Day, which usually covers the entire month. January is the month that the majority of us are planning to set aside to return unwanted holiday gifts. We’re all so busy with friends and family, and rarely have time for ourselves. Thus, many people usually don’t receive everything they want over the holidays. Lucky for me, I received quite a good number of gifts that help me thrive. For me, it’s “human psych.” When I feel and look my best, I’m more enthusiastic, productive, sociable and much more effective in all that I do at work and in my personal life. Below are a dozen beauties that I will be sure to keep! Artis, created by Matthew Waitesmith, offers high function and high quality, luxurious makeup brushes that are loved by beauty enthusiasts all over the world. I am addicted to my Fluenta Oval 3 and Oval 7 brushes, with rich black and silver handles, and elegant curves of the brush heads. They look like art pieces, so I to display my them on my vanity when I have guests over. 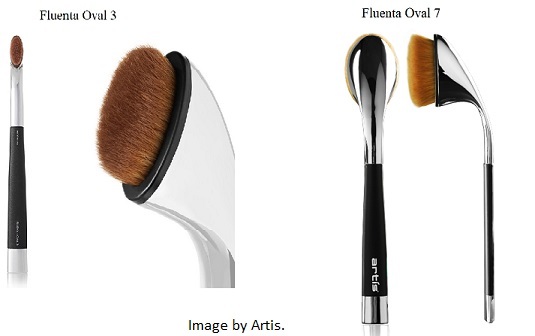 The Fluenta Oval 3, which is wonderful for applying concealer, eyeshadow, and lip color. I use the Fluenta Oval 7 for for blending foundation, bronzer, loose and setting powder, and highlighter. 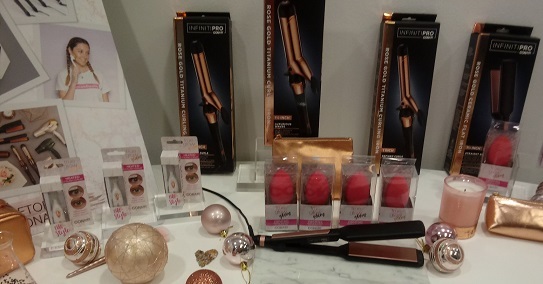 Conair Beauty Glam Glow collection was one of the hottest stocking stuffers at our holiday family gathering. It offers lash curlers that heat up, makeup blenders and makeup brushes that vibrate. They’re gentle and don’t pinch or pull my delicate lashes. These heated lash curlers are perfect for my holiday travels and to keep at work when I need quick touch-ups, especially on rainy days. Its vibrating makeup blenders and makeup brushes were also very much in demand. With the power of just one AAA battery, the little pink blenders helped even out makeup and even have cute standing bases to keep the vanity clean. The vibrating makeup brushes are 2-in-1, which has a sponge on one end, and a brush on the other. Flagpole, created by two besties, Megan and Jaime who met in high school, offers beautiful cruise or resort wear. For all the affluent travelers who enjoy going away during the winter to luxurious, warm weather destinations, Flagpole has lovely, relaxing, chic pieces to compliment your specific style. Perhaps you’re searching for flexible styles such as pretty shorts, or a day outfit that transforms into a full-length evening dress that doesn’t requiring fuss or ironing. When I travel, I’m in need of anything that melds the best of both beach life and city style. Flagpole offers it all, using the highest quality Italian fabrics, created alongside artisan tailors in New York City’s Fashion District to produce each of their designer collection. 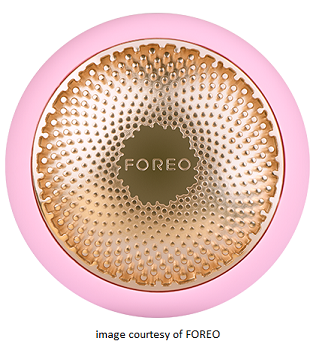 Foreo UFO is a smart, bluetooth face mask that combines ground breaking hyper-infusion technology with innovative and exclusive Korean mask formulas. This smart mask knows how to work with your skin’s and your pores’ natural reactions to heat and to cold, combined with its signature T-Sonic pulsations to ensure you maximize each treatment. It will deliver a luxurious facial treatment in only 90 seconds!That’s right! There is finally no more excuses to not having beautiful, clean and younger looking skin. Whether you’re a single parent, a stressed out mom who takes care of both the little kids and big kid (the husband) too, a workaholic — you can still have time to beautify your skin in just 90 seconds. goldno.8 bags are also great for travels, and it enables you to save money, all while still looking fashionable. This versatile, reversible bag can be used for all occasions and purposes. Whether you’re traveling this winter, planning a fun-filled trip for spring break, or having a staycation with the kids, this pretty bag will hold all your items safely. I absolutely love my Reversible Carryall, which keeps all my must-haves in one bag without having to transfer to another one: cell phone, wallet, makeup, shoes, and even my tablet! iT Cosmetics, currently available in more than 200 beauty boutiques nationwide, was founded by an empowering young female entrepreneur, Jamie Kern Lima less than ten years ago. The brand is renowned to help treat problemed skin such as: rosacea, blackheads, acne, ashy and dry skin, dark circles, or large pores. I’m a busy working mom, so my eyes are always tired looking. I tried Bye Bye Under Eye Eye Cream over the holidays, and it immediately hydrated and nourished my eye area after the first use. After about two weeks of use, my fine lines and wrinkles around my eye area are smoothed out. I have redness around my cheeks area, and need a quick fix for holiday party. our Skin But Better CC+ Cream with SPF 50+ gave me an instant fix by covering up the redness, without that cakey, pancake look. Image courtesy of iT Cosmetics. Korres, founded by husband and wife George and Lena Korres, has a wonderful brightening product that I am addicted to. According to WebMD, “The antioxidants in vitamin C may boost the amount of collagen and minimize fine lines, wrinkles, and scars.” Wild Rose Spotless Serum by Korres contains 15% vitamin C, which helped brighten my skin and reduce dark age spots. 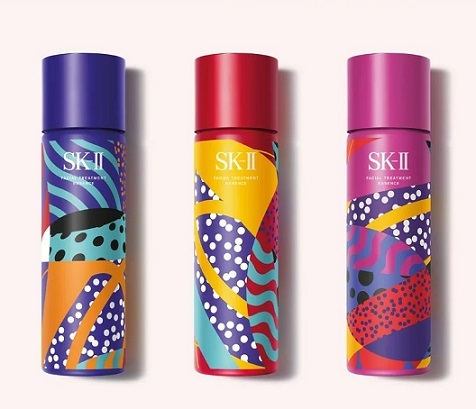 I use skin brightening products during the winter months, and tried this for the first time. I’m pleased with how it helped my skin look brighter in just three weeks of use. IMAGE Skincare was founded by an aesthetician and formulated by a plastic surgeon, so those with challenging skin can have a peace of mind that it is from a vetted source. It offers a good selection of products for those with more serious skin conditions, such as sun damage, acne, and aging. For those who need more than Vitamin C for their eye area, ILUMA Intense Brightening Eye Cream is helpful. After just three weeks of use, this helped reduce my dark under eye circles, puffiness, and helped brighten up my eye area, so I don’t need to use so much makeup. Image courtesy of IMAGE Skincare. Nordstrom Beauty compliments everyone’s specific beauty and budget needs. That’s right, even if you’re broke, you can still afford something pretty at Nordstrom! 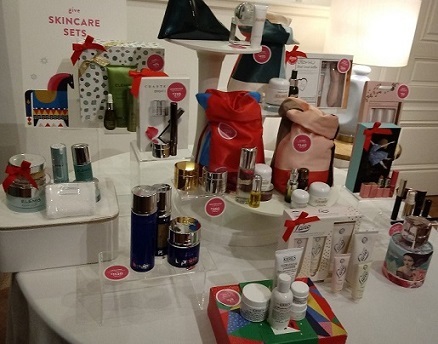 There is something for all — limited edition makeup or skincare sets, fragrances, hair products, candles, mini stocking stuffers, free in-store samples and more. No one’s perfect, and it can be a challenge to find a perfect gift for that special someone. Nordstrom strives to make its customers happy and satisfied, especially with its awesome no-questions-asked return policy. Between the guaranteed returns and the expansive gift selection, Nordstrom is here to stay for years to come. Vera Wang, renowned for some of the world’s most famous bridal gowns and most iconic red carpet dresses, offers designer clothing and jewelry for every day women! Her Simply Vera Vera Wang for Kohl’s allows all to enjoy signature bold, luxurious and stylish pieces every day on a budget — even fine jewelry! There’s something special about receiving “bling,” especially fine jewelry because it’s romantic and timeless. Also, many women today prefer buying jewelry for themselves. They know exactly what they want. Others just want to treat themselves for achieving a challenging goal, or getting that job promotion. 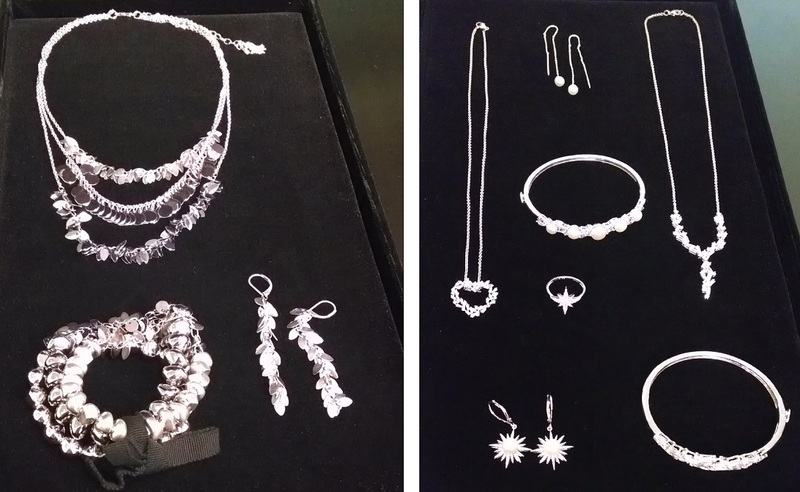 Simply Vera Vera Wang Jewelry Collection. Winky Lux is one of the latest and greatest new beauty brand for millenials. Grownups and parents love its pop-up shops, because it’s like that of a candyland and it makes them feel like little girls again. Kids will have so much fun in the tea room, decorated with cute pint size pink furniture and, cups and saucer sets, so they can pretend play while parents indulge in the magical beauty pop-up store. My favorite product so far is the Flower Bomb, because it’s the only lip stain to contain a real chrysanthemum inside. This luxurious lip balm works with my lips’ natural pH levels to create my special shade of pink. Its products are all made with luxurious, natural, cruelty free ingredients without contain parabens, sulfates, gluten, phthalates and animal testing. The brand loves pets, so it’s no surprise its mascot is a pink poodle — Pippy. Image courtesy of Winky Lux.